Matelita Buadromo at the Damodar City Aquatic Centre yesterday, Suva. Photo: Justine Mannan. The 20-year-old from Moala, Lau, is excited to have her mum by her side in one of the biggest competitions she will ever take part in. “This is the first time mum is coming along to such a big event and I am very excited to have her there and so is she,” Buadromo said. “I am looking forward to her watching me swim. She rarely comes to my competitions because I don’t make it a big deal but her being at the Olympics with me adds a lot of pressure and I get more nervous because I obviously want to do her proud. “It is one thing to take part in the Olympics where the whole world will be watching you but it is also another to have the woman who has supported me be there for me. Buadromo is excited about going up against other swimmers from around the world and is looking forward to achieve her personal best. “The one thing that overwhelms me is competing with other swimmers not just around the Pacific but the world and that thought is a little scary to be honest,” she said. “The world’s best swimmers will be there and it is the biggest event that will be staged. I’m very nervous but I’m just excited to see them in real life and race against them, it will be really awesome. “The fact that I am going to the Olympics is a really good feeling. 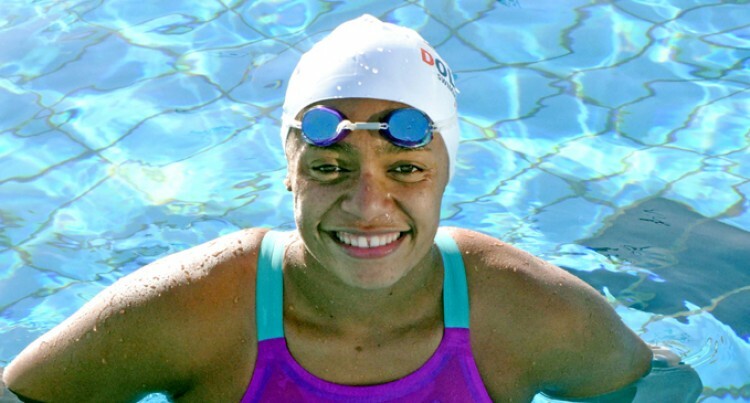 “I’ve fantasised about this moment, about representing Fiji in swimming at the Olympics but now that it is actually here it feels real. It is a feeling that you cannot really explain but it is a really good feeling. “I really want to do a personal best at the Rio Olympics and I really want to better my time that I did at the Oceania Championship and that is the main goal I have set for myself. Buadromo, 20, is a member of the Dolphin Swimming Club and specialises in the 200m Freestyle event.